Year 10 is the busiest year of all with several residential visits on offer to pupils. For those studying Spanish there is a visit in February to a language school in Salamanca with four hours of Spanish tuition each day. Students will stay with host families in pairs or threes on a full board basis. There are organised activities such as a tour of the City, a salsa dance class and a trip to the nearby mountains. 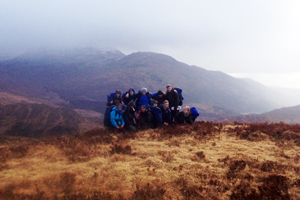 In March pupils have the opportunity to go on a 7 day residential course to Loch Eil in Scotland based in a centre close to the foot of Ben Nevis. This is regarded as one of the most challenging and rewarding activity courses, which should appeal to anyone who has an interest in the outdoors. Great emphasis is put on the personal development and confidence building aspect of the activities that are undertaken. 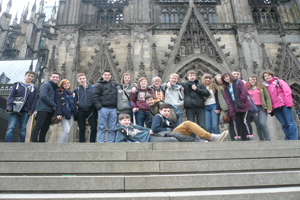 In June there is a trip to Cologne in Germany for students in Years 10 and 12 with a visit to a language school with four hours of German tuition each day. Students will stay in a hostel with organised activities which will give a real taste of German life, including visiting a chocolate factory, a science museum and a tour of the city. 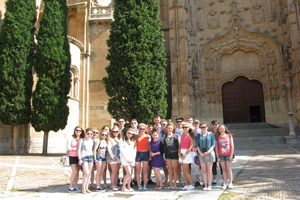 In June we organise a five night trip for students studying French to attend a language school in Montpellier. Staying with host families the students will spend three hours a day at the language school and then have ample time to explore the surrounding area.